The doctor from Apollo Hospital said J Jayalalithaa did not need heart surgery. 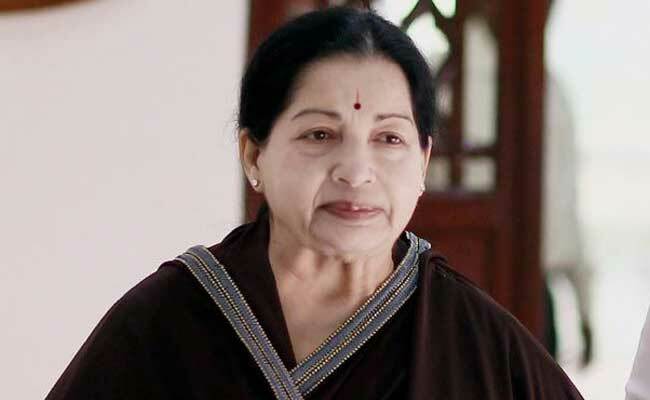 A cardio thoracic surgeon of Apollo Hospital on Monday told a panel probing the death of former Chief Minister late J Jayalalithaa that she did not have any heart diseases. The Justice A Arumughaswamy Commission of Inquiry examined Dr L F Sridhar, a cardio thoracic surgeon and was among doctors who attended to Jayalalithaa during her hospitalisation. The panel has examined several doctors on Jayalalithaa's health issues and complications, the diagnostic tests done and treatment options pursued as part of its fact finding exercise. N Raja Senthhoor Pandian, counsel for V K Sasikala, confidante of the late Jayalalithaa, told reporters that he asked the surgeon if vegetation in the mitral valve of the late leader was the reason for the cardiac arrest she suffered on December 4, 2016. "The doctor replied that it was not the reason and he also testified that she did not have any heart diseases and there was no need for any (cardiac) surgery," he said. To a question on why an angiogram was not done, the counsel quoted the surgeon as telling the panel that she did not need it at any point in time and it was a diagnostic test that had nothing to do with her vegetation. "The cardiac arrest was only a consequence Jayalalithaa faced in view of a bundle of diseases she had. The cardiac arrest was not due to either vegetation or (valve) perforation...the doctor told the panel," he said. Counsel for Apollo Hospital Maimoona Badsha said the doctor, in his deposition, said septicaemia also caused vegetation, as well as valve perforation and Jayalalithaa was hence given antibiotics. Even on September 28, 2016 when her infection was high, the perforation was very small. He concurred that the finding of all the doctors was just the same, which was that Jayalalithaa did not need any invasive surgery. Even a team of AIIMS doctors from Delhi, who visited Jayalalithaa on December 3, 2016 had opined that there was no need for any cardiac investigation or intervention, he said. Earlier, a man who wanted to depose as a witness, incoherently claimed that he has "brought in Jayalalithaa with him and that he had talked to her every day" and that the panel had declined to hear him, according to Pandian.